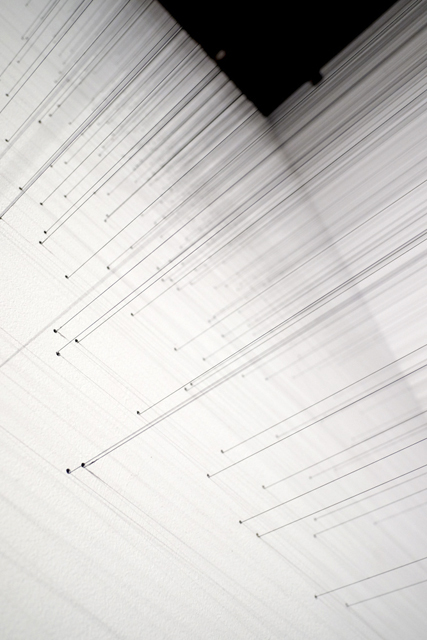 Sarah Duyshart is a sound and installation artist currently based in Melbourne. 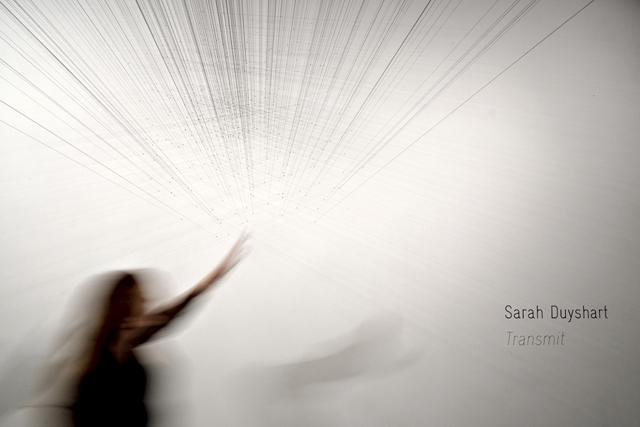 Transmit is presented as part of Meet the Makers 2014, curated by Bernadette Alibrando. 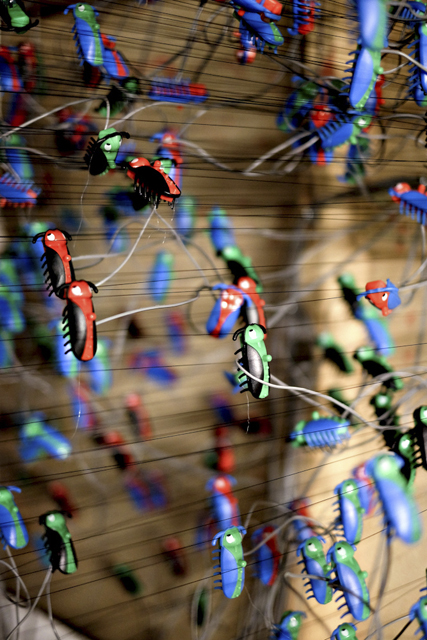 Articulating the liminal threshold between what we see and don’t see, Duyshart typically harnesses vibration to generate suspended meditative kinetic installations. 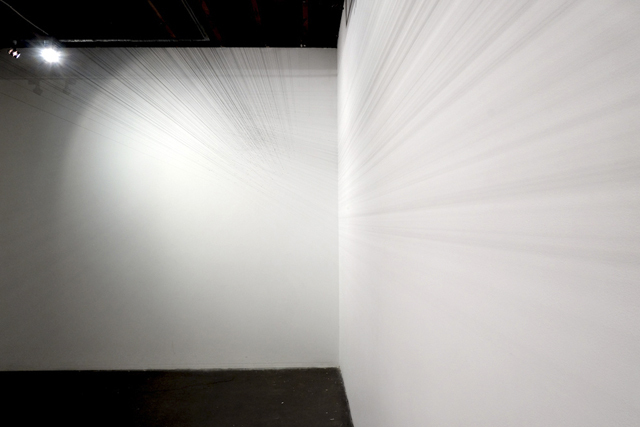 Working site-responsively, her current body of work sees a subtle tense line nervously piercing and mapping its personal trajectory through space. 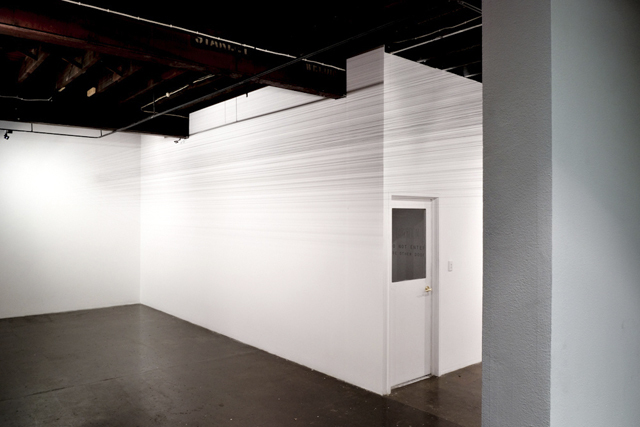 Rupturing planes and navigating architectural boundaries, Duyshart’s string and pulley ‘spatial drawings’ extend her search, originating in her sketches and sound field recordings, to define that which lies hidden and inaccessible. 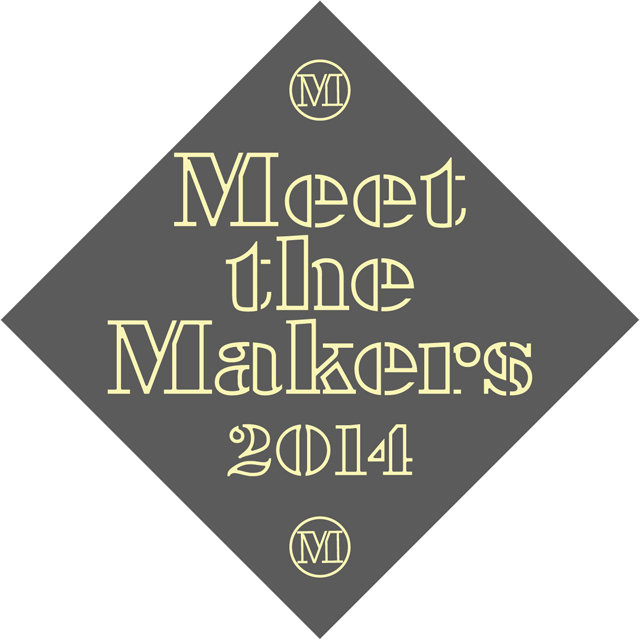 Meet the Makers was established to provide people with knowledge of art practices and processes. It is a weekend of social and educational activities in which the participant can meet the maker and gain a greater understanding of artists, art spaces and creative business.